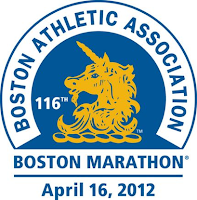 When I got the emails from Boston Athletic Association stating "you should adopt the attitude that THIS IS NOT A RACE. It is an experience" and "if you are not highly fit you should NOT run this race. 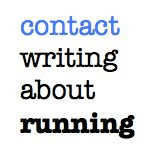 Inexperienced marathoners should not run," I joked about it. Turns out they weren't kidding. In what the Boston Globe described as a day where "even the breeze felt like a blast from a hair dryer," trying to race a marathon probably wasn't the best idea. 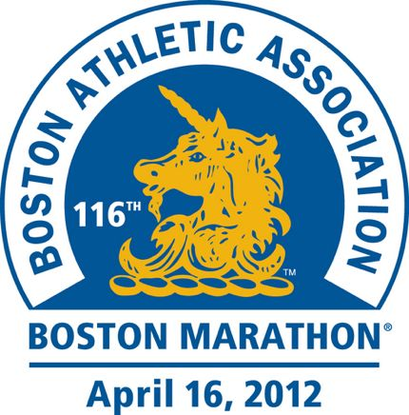 After having run well at Boston in 2010 and then having to skip last year due to injury, I wasn't missing this one. It could be my last for a while. 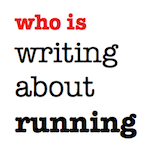 Maybe I should have, but then I wouldn't have the story of running one of the toughest Boston Marathons ever. More than 2,100 people sought medical attention, plus my friend Tyler Pake, who had the pleasure of getting three IV bags upon returning to North Carolina. Upon landing in Boston on Saturday, the weather was great. Upper 60's, lower 70's. Good stuff. Being optimistic, I hoped that maybe the weatherman was wrong and it would be fine. I wasn't that lucky. We shipped out to Hopkinton on the school buses at 6:30am to prepare for the big wait in the athletes village, before heading over to the starting line for the customary 10am start. It was already hot. I wouldn't be carrying my usual throwaway hoodie and sweatpants to the starting line this year. It was straight singlet for the walk up and I definitely didn't need that, as it was soaked within the first few miles. I've been injured and haven't done a run on the roads over 16 miles in almost two months, but was hoping to just go out, have fun and finish "somewhere around 3:30." 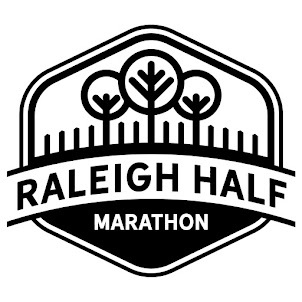 This would be far off my last three marathons, but no big deal. That would prove far tougher than expected. Got out in around 6:41, which was easy on the downhill, but it felt odd. Second mile, 6:43. OK, I thought. I can roll these off and maybe surprise myself. That's when I could start to feel the effects of the heat beating down on us. There's very little shade on the Boston course and it would take it's toll early and often. I think my third mile was around 7:10 and they just got slower from there. I walked for the first time before the five mile mark. Why I didn't just bag it early, I'm not sure. Every time I'd see an aid station, I thought "just a little bit farther." I began slowly clicking off miles where I'd run a little, walk a little and just try to get to the next aid station. By the time I hit mile 10, I thought, "if I can just make it to Wellesley..." I think that was the point of the race where I decided I was going to soldier my 6', 175 pound body through, no matter what. I tried to take in the entire course and enjoy the crowds as much as possible. They were incredible. I don't really remember a lot of 2010 because I was running hard and focused. Not so much today. Where my shins felt fine (thanks to Capital RunWalk), everything else hurt. The calf spasms started around mile 15 and would not end until about 0.2 to go. They stopped me dead in my tracks looking for a curb to stretch them around ten times. What fun! Eventually, I got there. From mile 22 to the finish, it was very rough. Tons of great crowd support and I wanted to run the whole way, but my body just wouldn't let me. 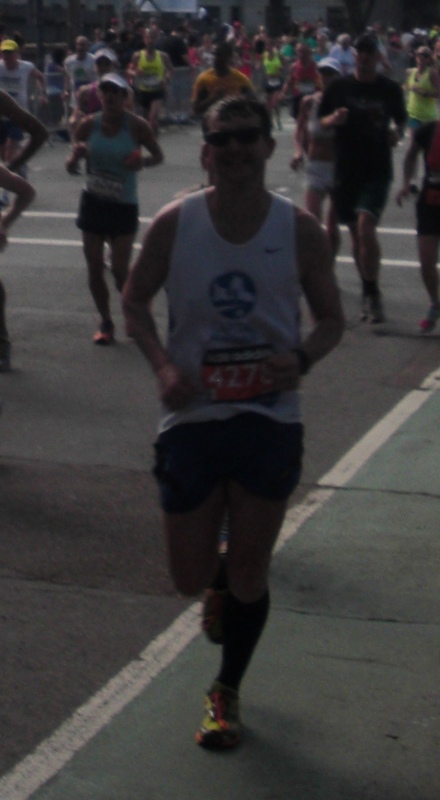 I ran as much as I could and just tried to envision the moment it would be over. Running by the Citgo sign at mile 25 and down the final stretch on Boylston was still very exciting and I happily accepted my finisher's medal as a badge of honor. There were tons of competitors that had similar results in the finishing chute. I was not alone in my death march! 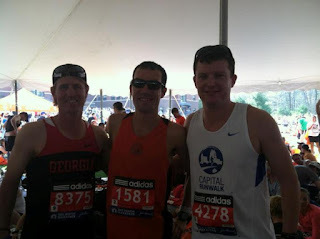 "I finished the 2012 Boston Marathon"
There's no telling how much water I consumed, how many hoses I was sprayed by and how many cups of the extra salty Gatorade I drank, but it wasn't enough to combat the heat. 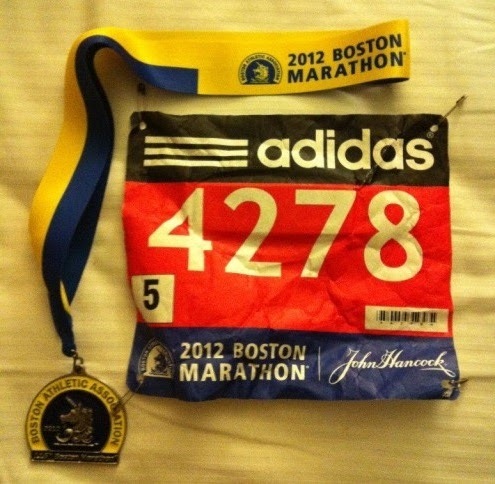 Now while I consider that my only achievement of Boston 2012 was indeed finishing the race, I hope that one day I'll have tales of "nothing but (very) warm memories." PS. I didn't get to attend any post-race parties, because I was on the brink of hospital-level dehydration, but I did get to drink a Samuel Adams 26.2 Brew, thanks to the Hilton Back Bay room service. Delicious and refreshing. Hope they take it national. A low alcohol beer that actually tastes good. Watch out Lance! Congratulations on finishing and not ending up in the hospital like me! Glad you got to enjoy the Sam Adams 26.2 Brew too. Film Major: "Town of Runners"